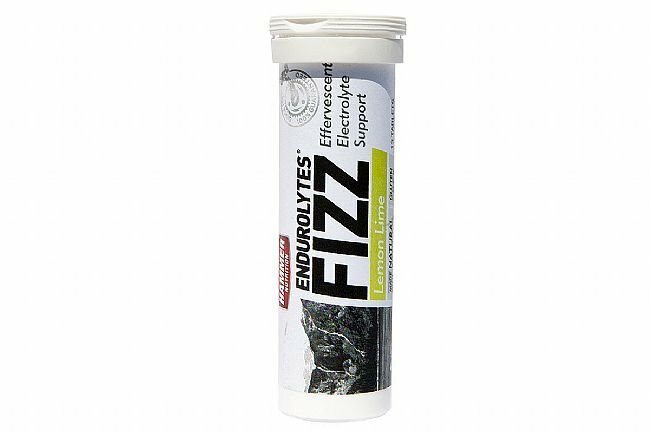 If capsules aren’t for you, Hammer Nutrition's Endurolytes Fizz is an easy answer. Add these rapidly dissolving tablets to your water bottle to create a delicious, effervescent electrolyte drink. Note: Hammer uses a variety of systems to ensure product freshness. See this link for Hammer Nutrition Expiration Details. Sodium Bicarbonate: A well absorbed source of sodium, selected for its high dissolution rate. Bicarbonates are also used to aid digestion and help alleviate stomach distress issues. Calcium Chloride: An easily dissolvable source of both calcium and chloride. Calcium Carbonate: Chelated to carbonate (a salt of carbonic acid), calcium carbonate is a source of easily dissolvable calcium. Magnesium Oxide: A rich source of easily dissolvable magnesium. Potassium Bicarbonate: A colorless, odorless compound selected for its high dissolution rate. Bicarbonates are also used to aid digestion and help alleviate stomach distress issues. Manganese: This trace mineral is necessary for optimal muscle cell enzyme reactions and for the conversion of fatty acids and protein into energy. Vitamin B-6: This water-soluble vitamin plays an active role in maintaining sodium-potassium balance. It also supports the metabolism of carbohydrates, fats, and protein. Citric Acid: Used in the minimal amounts needed to aid in the reaction process that creates carbon dioxide, the gas which gives effervescence to the product. Sorbitol: A natural calorie-free sweetener. Stevia: A natural, calorie-free sweeter derived from the leaves of Stevia rebaudiana, a plant native to Central and South America. It does not affect blood sugar levels or contribute to tooth decay like sugar does. Avocado Oil: A healthy oil used as a tablet-pressing lubricant. Monk Fruit: A natural, calorie-free sweetener that does not affect insulin production. The sweetness from monk fruit is not due to natural sugars like most fruits, but instead from its naturally occurring antioxidants called mogrosides. These are a staple of my training when exerting all youve got. I add 1 and a half of these tablets to my 25oz water bottle along with 1 scoop of Skratch sports powder and boom you feel rehydration running through your body ready to continue turning up the heat. This taste like cola flavored Alka-Seltzer. Hammer tabs have a nice mild flavor and sit well on my stomach during long rides. 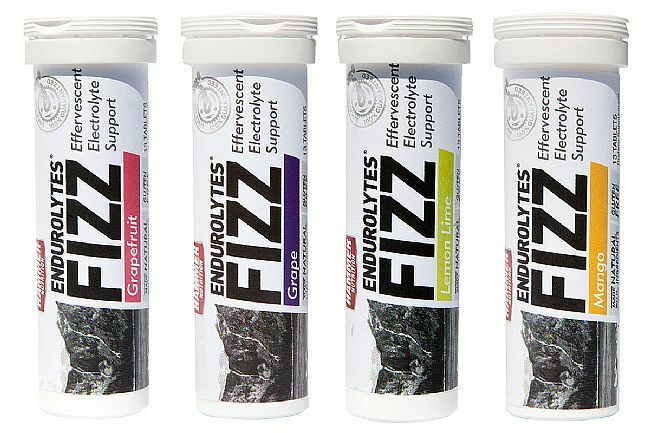 They're also good for post-ride hydration and encourage me to drink more than I might otherwise (unless I feel really thirsty). Prices are fair compared to some other brands, but BTD offers bulk discounts and occasionally puts the tabs on sale. The Hammer fizz tabs have a nice mild flavor (I tried mango, cola, and grape), and don't cause the gastric upset I feel from other similar products. They also contain high levels of minerals like magnesium and vitamin B6, which is good if you sweat a lot or are concerned about hydration and maintaining electrolyte balance. I just wish Hammer sold their tabs in bigger, higher count tubes like SIS or High 5. I re-use the empties for various things, but a lot of plastic still winds up in the recycling bin. These are basically Fizzies from the 1960s1970s. These are basically Fizzies from the 1960s1970s. Can't say whether or not they help with cramping, since I don't cramp often enough to prove they kept cramps away. They taste okay and give some salts, but I will probably not be buying them again. This is a solid electrolyte tablet. I like using this and getting my calories from gels or food. The taste is good, and helps make sure you are getting your water in. Definitely gets my electrolytes back in tack. Have been using Fizz for over 5 years, and I swear by them. 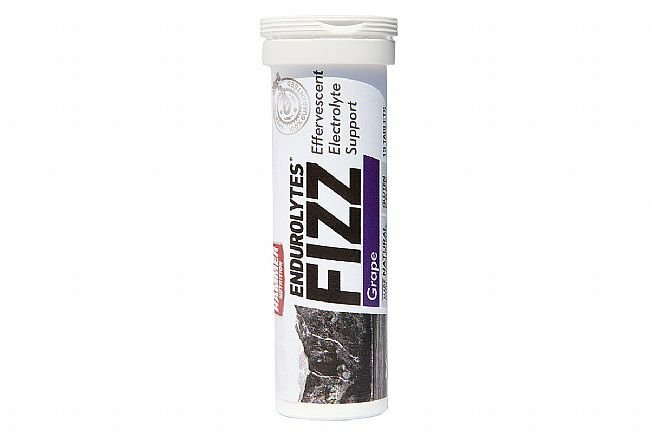 When doing extreme workouts in the heat, I will notice I get dizzy when sitting and then standing, this lets me know I am off on my electrolytes. Pop one in a glass of water and soon everything is back in order. Taste is good. I have a hard time staying hydrated on weekends. Drinking lots of water helps to an extent, but I often find myself cramping (quads) during Sunday night soccer games. Then I gave these a try. No more cramps and it tastes good. I've tried the grape and grapefruit so far and they're both good enough that my 3.5 year old thinks he's getting a special treat when I let him have some. Overall I'm impressed with every Hammer product I've tried - I especially like how they justify their ingredients with scientific studies and leave out as much as possible. I've been using these for years. I take them out on long rides and when it's time to refill my water bottles, I buy vitamin water - there are 2 mango flavors - add a fizz mango and you get all the electrolytes (from the fizz) with some sugar and vitamins from the vitamin water. Good price at BTD and the taste is okay. I think it helps on hot days to have these. I hate bonking. I want to enjoy the ride. I can see why it is important to replace electrolytes. I know I sweat buckets on hot days and this helps me a lot. I like the mango and lemon lime flavors. They dissolve quickly and leave no aftertaste . Good for your longer rides where you need to replenish your electrolytes. I break a tablet in half and put one half in one water bottle and the other half in a 2nd water bottle. Taste is okay and I think the electrolytes are needed on those hot days when you are riding 2-3 hours. 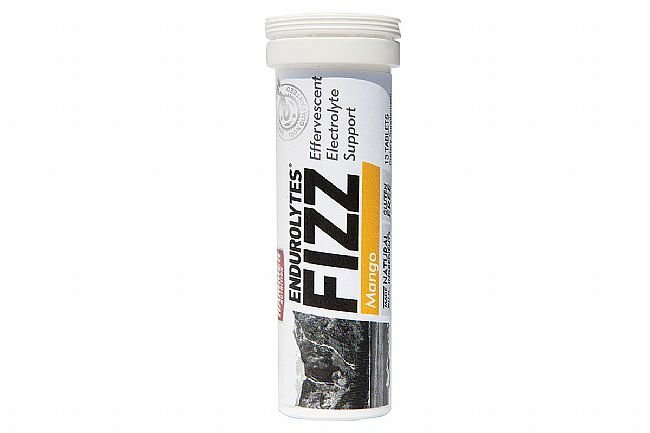 I've found the Hammer Fizz to taste quite bad in comparison to Nuun. I just had a Lemon-Lime and it tasted terrible. 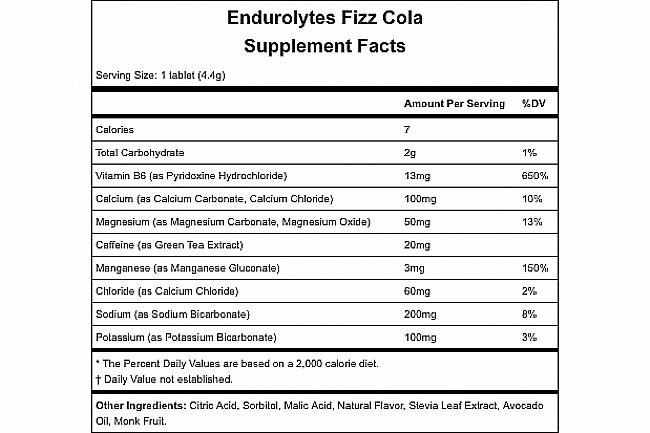 I cant comment on the nutritional/electrolyte content between Nuun and Hammer Fizz. I am a heavy sweater and need lots of sodium. 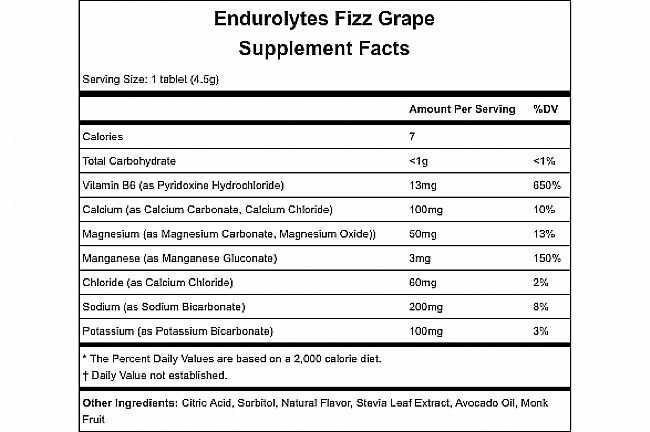 I put two Fizz in a water bottle and supplement with capsules. Lime Lime and Grape are my two favorite flavors. Had stomach issues with other products - but I do randonneuring, so 12-18 hours on the bike can put stress on digestion. Grape & grapefruit are really great tasting. 1 tablet 2 endouralytes. nice slightly carbonated taste.